Vodafone and Liberty Global have agreed to merge their Dutch operations, forming a 50-50 joint venture that will combine Ziggo’s fibre broadband network with Vodafone’s mobile operations. The firms said that through the deal they will create a unified communications provider in the Netherlands – with complementary strengths across video, broadband, mobile and B2B services. The deal will bring together Liberty-owned Ziggo’s Horizon TV offering, 200 Mbps nationwide broadband internet and WiFi network, and Vodafone’s 4G mobile network, offering “superior connectivity and entertainment both in and outside the home”. The JV will operate under both the Vodafone and Ziggo brands and create a national operator with over 15 million revenue generating units – 4.2 million video, 3.2 million high‐speed broadband, 2.6 million fixed‐line telephony and 5.3 million mobile customers. 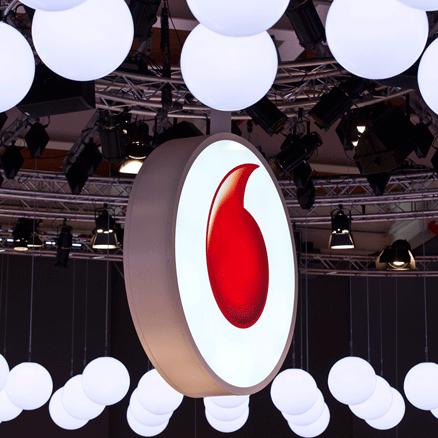 Vodafone will make a cash payment to Liberty Global of €1 billion to equalise ownership in the joint venture, with Vodafone Netherlands to be contributed on a debt and cash free basis. The companies said the total expected synergies from the JV have an estimated net value of approximately €3.5 billion after integration costs. The deal is expected to close around the end of 2016. Commenting on the deal, Vodafone group CEO, Vittorio Colao, said the JV will create a strong integrated player that will invest in digital infrastructure, entertainment services and productivity applications. “Together we will be a stronger competitor in the Netherlands, benefiting customers of both companies and the market as a whole. This transaction marks a continuation of Vodafone’s market‐by‐market convergence strategy and we look forward to partnering with Liberty Global to create a fully integrated provider in one of our core European markets,” said Colao. Liberty Global CEO Mike Fries said: “This powerful combination of the best fixed and mobile networks in the Netherlands will deliver huge benefits to Dutch consumers and businesses. The news comes after Vodafone confirmed earlier this month that it was in discussions with Liberty about creating a JV in the Netherlands, following media speculation about a tie-up between the two firms.